NYC is Blue: NYCFC on WFAN! Huge news - NYCFC has reached a three-year broadcast deal with WFAN. 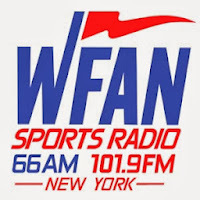 Billed as "first and most listened to sportsradio station in the nation", WFAN will broadcast the team's MLS matches and have the option to broadcast friendlies as well. 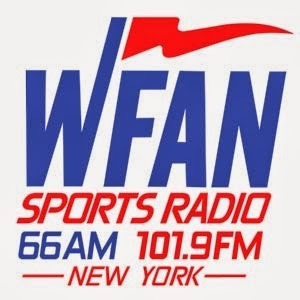 WFAN is currently the flagship station for the New York Mets, New York Giants, Brooklyn Nets and New Jersey Devils. Next year, the New York Yankees replace the Mets in that lineup, and NYCFC follows the year after that. 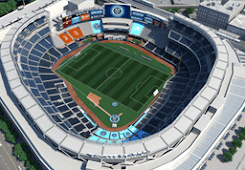 The Yankees' move from WCBS to WFAN obviously played some role in NYCFC's contract, hopefully an example of how the Bronx Bombers' marketplace muscle can be flexed on behalf of the soccer club. This is a tremendous boon for NYCFC, as they'll be cross-promoted with many of the most prominent sports franchises in the region. It's also another opportunity to lock up the New York City market; the Red Bulls don't have any English radio broadcasts.